Please plan to attend this FREE seminar sponsored by the Seymour Economic Development Department and the Seymour Chamber of Commerce. 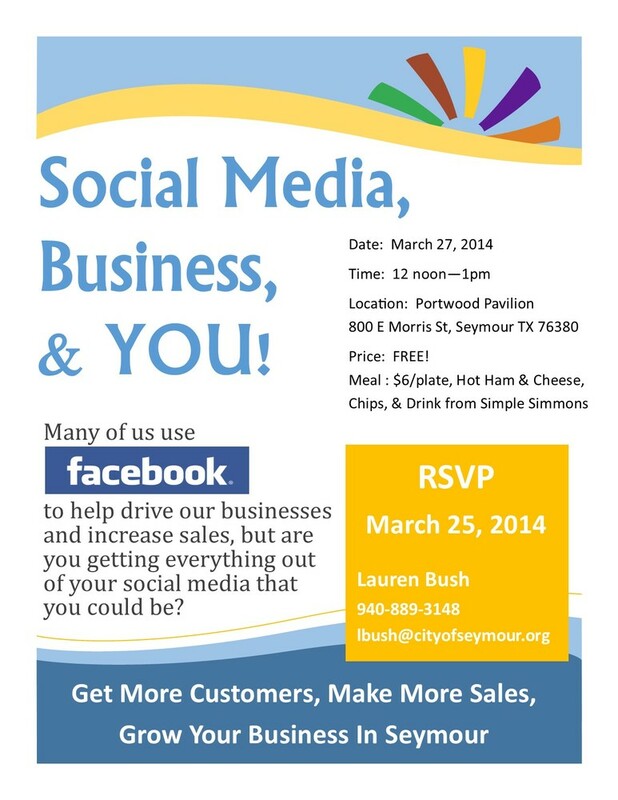 If you would like to eat, a meal is being provided but you must RSVP by March 25th. Lunch costs $6 a plate.